How much and how quickly did driver clubheads grow in size around the turn of the 21st century? Consider Callaway's Great Big Bertha drivers. They were called Great Big Berthas because they were even larger than Callaway's original Big Bertha. Just how big was the first Great Big Bertha driver? It was 380cc in clubhead volume. Which, today, would be considered a tiny driver head. No new driver would be made that small. A golfer handed a 380cc driver head today would probably do a double-take. In 2004, Callaway released the Great Big Bertha II 415 Titanium driver, which boosted the clubhead size to 415cc. Also small by today's standards, and even surpassed in real time by other drivers on the market in 2004. Today it is rare for any driver to check in below the maximum-allowed size of 460cc, and those that do are targeted to low-handicappers. But like the original GBB, Callaway's Great Big Bertha II 415 Titanium driver was a big seller. The same has been true of GBB drivers that have followed since, too, as the GBB name continues to periodically be used by Callaway. Great Big Bertha II drivers, the 415 Titanium model and other models, show up occasionally on eBay, on the websites of used golf club re-sellers, or in bargain bins. According to the PGA Value Guide, the resale value of a Great Big Bertha II 415 Titanium driver is around $30. Callaway brought back the GBB brand with its 2015 model Great Big Bertha clubs. And you can expect the GBB family to live on into the future. The company always gets attention when it dusts off the Big Bertha or Great Big Bertha names. For the latest on the Callaway product line, including any current GBB clubs, visit the company website. You can also check the Callaway Pre-Owned site for more recent used models, and might even find some GBB II 415 models there. Jan. 4, 2004 - The Great Big Bertha II is getting bigger. Callaway has announced a new version of the popular GBBII driver that is the largest driver yet released by Callaway. The Great Big Bertha II 415 Titanium checks in at 415cc in clubhead volume. That's not huge by today's standards, but it is the largest driver head Callaway has brought to market and is a significant increase over the 380cc of the original Great Big Bertha II driver. Callaway says the new GBBII 415 is the most forgiving Great Big Bertha ever. "The Great Big Bertha II family of titanium drivers and fairway woods has been very well received in the marketplace over the past year," said Ron Drapeau, Chairman and CEO of Callaway Golf. "By adding the new Great Big Bertha II 415 Titanium Driver to the lineup, we now offer an exciting option to golfers looking for a Callaway Golf driver with a larger clubhead and more forgiveness." Callaway says its engineers have used the extra 35cc of volume designed into each Great Big Bertha II 415 Titanium Driver to increase the driver's Moment of Inertia (MOI). A higher MOI means the clubhead is more stable at impact. The Great Big Bertha II 415 is designed to provide consistent ball speed, backspin and launch angle on shots struck across a large area of the club, which helps minimize any losses in distance or accuracy on off-center hits. 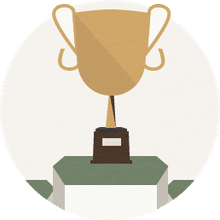 The club provides the maximum coefficient of restitution (COR) allowed. The new Great Big Bertha II 415 Titanium Drivers utilize the same proprietary series of high-performance graphite shafts that have generated positive feedback in the original Great Big Bertha II Titanium Drivers. The GBB System 60 and GBB Gems 50 shafts are lightweight, low resin content graphite shafts with high strength and responsiveness. The GBB System 60 graphite shaft is a 45-inch shaft available in Light, Regular, Firm and Stiff flexes, while the GBB Gems 50 is a 44-inch ladies flex shaft. Great Big Bertha II 415 Titanium Drivers are also available with four of the most popular after-market shafts - the Aldila Green NV 65, Grafalloy ProLite 35, Graphite Design YS-6 and Fujikura Vista Pro 70 - factory-installed at no extra charge. 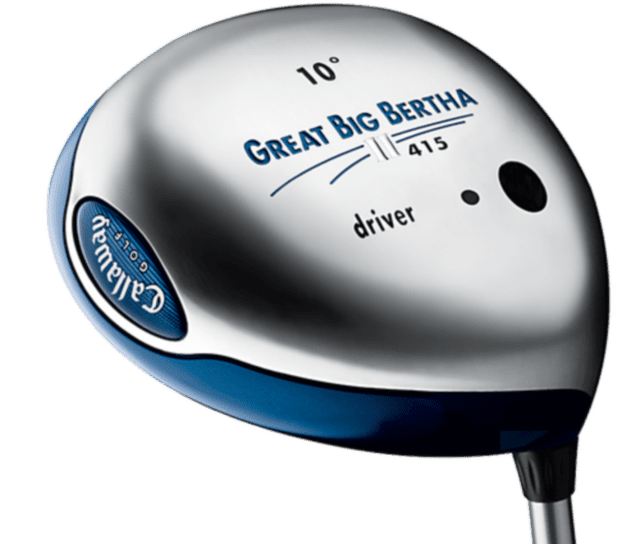 The new Great Big Bertha II 415 Titanium Driver is available in three lofts for right-handed golfers (9, 10 and 11 degrees) at a suggested retail price of $500.